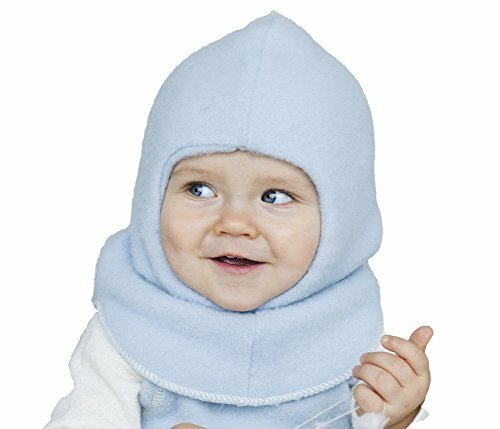 LANACARE Organic Merino Wool Nelson/Balaclava - Light Blue, size 110 (2-5 yr) | What Should I Say? Made of double-layer of soothingly soft KbT, GOTS, IVN Best Certified Organic Merino Wool. Wool absorbs moisture, keeping you dry & comfortable. Even when wet, wool feels warm. Natural fibers breathe to maintain comfortable temperature against skin. Natural wool with lanolin gives self-cleansing properties for easy care. Minimizes need for washing. For best results, wash by hand with lanolin-containing woolwash to retain self-cleansing properties. European size corresponds to height in centimeters. Choose size by age range or height, rather than Amazon's auto-sizing chart. 110 = 44 in. If you have any questions about this product by LANACare, contact us by completing and submitting the form below. If you are looking for a specif part number, please include it with your message.